Writing a book isn’t just about putting down words on a page. You need to be able to organise and structure your book, you need to be able to look at research and ideas (ideally online), collect it in one place, you need to be able to access your work on multiple devices, and need to know which is the best programme for writing a book. When you get further into the process, you'll realise that your word processor just isn't made for the job. You'll get to a stage where your document is unmanageable and you'll lose track of the structure of your book. With a typical word processor, you can't 'see' the book in its entirety, nor can you move easily between different sections or chapters. I have seen this again and again, I've experienced it myself, and I hope that you don't have to. But, when it comes to choosing the best writing software, it can be hard to pick the right one. Different writers need different aids, and it all depends on your format, your writing style, and your own personal preferences. Luckily for us, there are far better solutions for writing books, and we’ve selected from the many to bring you a shortlist of our favourites: six of the best writing software on the market. There are some differences between them, so the choice is down to your personal preference and budget (although they are all very affordable). The 'big daddy' of writing software, and the #1 choice of writing software here at Author Unlimited, is Scrivener. It helps you organise your work, keep track or it (you can set word count targets), and you can also output a print-ready version of your book. It's a programme so you download it to your computer. Great for staying off the wifi. And this is a key distinction between the different software we showcase here, so if being distraction-free is important, then rule out those that rely on you being online (like Noisli and Book Writer). Scrivener is what Tim Ferriss used to write the 4 Hour Body and the 4 Hour Chef, and most professionals agree it's the best writing software on the market for both professionals and amateurs. 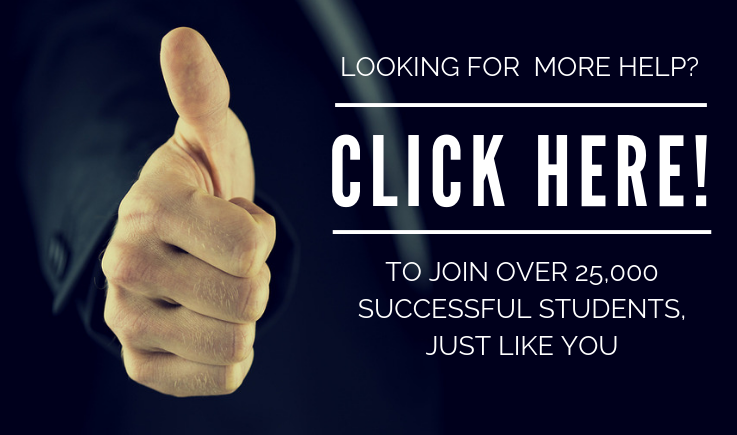 You can buy a Mac version, or a Windows version and it has the most amazing free trial (I'll let you check that out for yourself but suffice to say that two participants on my last workshop planned to write their whole book during the free trial!). With a corkboard-and-index-cards approach to organisation, Scrivener works exactly the way we might plan a book on paper. 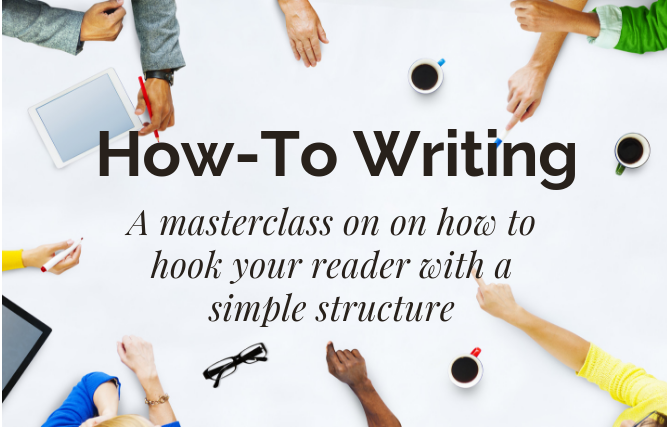 You can break your writing down into manageable chunks without losing the thread. Where it comes out on top is chapter sidebar and outline screen that allow you to always keep a visual tab on the development of your novel, and add in notes and ideas on the fly. You can keep your research in separate documents from the manuscript, and you have a choice of views -- including a full screen view to help you stay away from internet temptation. Scrivener also allows you to recall past work, deleted paragraphs, a previous drafts without much effort. The main disadvantage of Scrivener is that it comes with a bit of a learning curve, and (and this is true for all the software we reviewed) you can't do the spell and grammar checks that you can in Word. But, really, that's not a reason to use Word for writing a book! Although it's designed with novelist in mind, non-fiction authors will also find it easy to use and fit for purpose. It's main attraction is its simplicity -- it doesn’t come with fancy ‘extras’ to distract you from you writing – and it's downloadable which means you can switch the wifi off (I personally prefer this option with whatever software I choose), and get rid of the temptation to check Facebook or your email, or go off on the web doing 'research'. yWriter breaks your writing into chapters and then further into workable chunk sized scenes (or sections for us non-fiction writers), and keeps a tab on where everything is – something you’ll appreciate when you’re hitting the 10,000 word mark and wondering how you’re ever going to get out of this alive. I like the focus on scenes because it's a very manageable piece to write, and, in non-fiction, you can take similar types of sections together in the writing process, or you can just dip in and out when you have time. But you can organise your work in Scrivener this way as well. 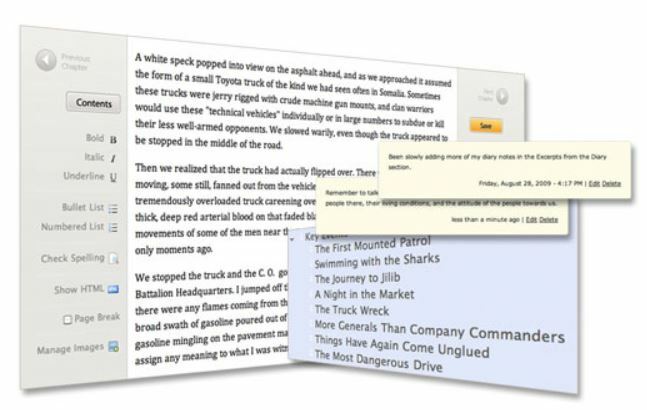 yWriter has easy-to-use navigational tabs so can move between chapters and there are no hidden secrets that take time to learn. Simple, functional, does what is says on the tin. The storyboard function is nice for novelists, and non-fiction writers may like see the visual flow of their book. In conclusion, it's perfect for the writer who likes no-frills organisation and is less concerned about the look of their software. The main disadvantages are that it looks rather old-fashioned, and it's only available on PC at the time of writing. For collaborative projects, smaller and more frequent work, and easy marketing, Fast Pencil’s Book Writer is a well-developed application that is easy to use and comes with different advantages to the other software we are reviewing here. Firstly, you can automatically update to your Facebook page or Twitter timeline whenever you start or finish a new project. This sits well with the philosophy of accountability we adopt here at Author Unlimited. And it's also good marketing because you are seeding the idea of your book as you go. You keep your followers updated on your progress and gets engagement with your process (especially if you are also blogging about it). The Book Writer editing software is easy to use, and there are plenty of helpful ‘how-to’ videos if you get lost. One of the main selling points of Book Writer is the collaborative nature of it -- you can share your work with other writers, as well as beta readers, editors, or publishers (including service providers you might work with to self-publish). They can log-in from any device as long as there is an internet connection. For editing and tracking changes, it incorporates an auto-edit tracking device. The main disadvantage of Book Writer is the cost is the added cost of formatting and publishing through them. The price jumps from $9.99 to access the writing software, to $675 to publish your manuscript (correct at the time of writing). And, with Fast Pencil, as soon as you decide to format your book outside of their templates, costs mount. There will be costs involved however you decide to publish, but at least know what you are in for before you decide to go this route. Especially when comparing it with, say, Scrivener, which can export your manuscript in many publishing formats at no additional cost. The collaborative nature of this software will be just perfect for some of your projects, but if you don't need that, plus the fact that you have to be logged in to the internet (which you know I don't like), means that, although we do like it as a publishing software, it probably isn't our top pick for the writing. The writer's haven. Or so it says in the marketing material. And Ommwriter is my favourite tool to use alongside (or instead of) Scrivener. It's basically a text editor (as are many of these programmes) but what makes it unique amongst the writing software packages is the addition of music and a calming, and simple, environment. Right on your desktop. You download the package to your computer which means you can disconnect and work offline (and you know I highly recommend this!). And then you can choose from 7 meditative tracks carefully chosen to keep your focus, and a selection of relaxing coloured backgrounds. You press save from time to time and your work is saved as a omm file (or you can choose a text file). And if you like the sound of tapping keys you can also choose a keyboard sound. Normally we tune this out but you'd be surprised that as soon as you put your attention on it then it starts to jar. The background designs (or chromatherapy) are designed to make the screen easier on the eye and to complement the mood you are creating. I love the simplicity of Ommwriter, and the meditative philosophy behind it. The very fact you can't format as you go means you are probably less likely to edit (the writer's curse!). Which means that important first draft gets done more quickly, and with composure. The main drawback of Ommwriter is the flip side of what makes is so attractive – it's simplicity. You can only write and then export a text file. So all the work formatting still needs to be done either in a publishing software like Sigil, back into a more sophisticated tool like Scrivener, or by outsourcing. Ommwriter is my current favourite writing software for blogs and smaller pieces. For a book project, I would go with Scrivener every time. I want to give Noisli a passing mention because it has one feature that I like to recommend to writers, and that I use when I'm writing, and that is a timer. Its very similar to Ommwriter, but online, which is a bonus or a disadvantge depending on your perspective. It's simple to log-in through your web browser, create an account and just write. You can download your work as a text file to your computer or to dropbox (which is nice if you're working on a tablet for example). And you can set a timer. Personally I like being offline, and I prefer the music that comes with Ommwriter, plus I have a timer, so, for me, Ommwriter still ranks above Noisli. But those are completely personal preferences and you might find the splashing water or the white noise of trains suits you well. Plus that timer! If you plan to publish your own e-book, and you don't (for some unknown reason!) get along with Scrivener, then Sigil is a strong option for both complete beginners and those of you who are more advanced in the art of coding your e-books. Sigil is a free, open-source software for making e-books that can make simple or more complicated formatting for your digital book. A bit of a techie option, but if that's you and you want to format your own books, then you'll love Sigil. With a book browser, a document viewer and table of contents all on the same page, the layout is intuitive and is easy to learn. It has a WYSIWYG editor (what you see is what you get), so you see how your book looks before you export. You can import a HTML file and Sigil will tidy it up and erase any errors in the script, and it also allows for inserting images and graphs throughout the book (which is often a tricky part of formatting your ebook). Mind you, Scrivener does this as well. It also has options for chapter breaks and spell checks. It’s a bare-bones approach to the actual ‘writing’ part, but it could be combined with Noisli or Ommwriter if that takes your fancy. If your book is uncomplicated and easy to structure and layout, don’t shy away from using Sigil to help you do it. When you're thinking about how to write a book, you need to realise that no writing software, no matter how perfect, can actually write it for you, but it’s definitely worth finding one that can help you along the way. As you can see, we like Scrivener and Ommwriter, but there are other options that fit your wallet and your personal preferences. Don’t get caught up in deciding between all the options – as with writing -- it's better to just start. Choose one and take a test drive, and then you can progress to a more advanced or sophisticated when you’ve mastered the ins and outs of writing software. We've shared ours, I wonder if there are any others that you love? Always go with what works for YOU, not what someone else tells you is the best. It’s a personal choice at the end of the day!